Another Aringo client was accepted to UCLA (MBA). Crossing Fingers! Another Aringo client was invited to interview at MIT (MBA). Another Aringo client was invited to interview at NYU (MBA). Another Aringo client was invited to interview at Berkeley (MBA). Another Aringo client was invited to interview at NYU (MBA). Another Aringo client was invited to interview at NYU (MBA). Another Aringo client was invited to interview at IESE (MBA). Two additional Aringo clients were invited to interview at MIT (MBA). Another Aringo client was invited to interview at Stanford (MBA). Two additional Aringo clients were invited to interview at NYU (MBA). 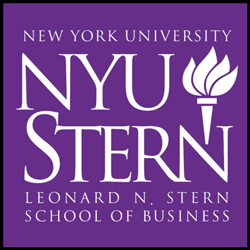 NYU Stern has published an online Fall schedule of its admissions events around the world. Good luck! Another Aringo client got accepted to NYU (MBA).